Pra Pim Khun Phaen Yord Khun Pol in Nuea Pong Toop Sacred Incense Powders, from the 2541 BE 'Udom Prachanat' Wai Kroo Edition celebrating Luang Por Phern Tidtakuno's 76th Year of Life. This exhibit comes with the original temple box included. The Pra Yord Khun Pol is made from fine incense powders from monks praying, with herbal powders. 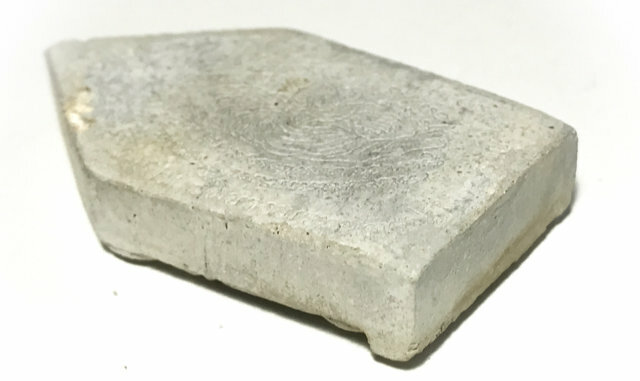 The amulet has been placed in Kru Chamber to gather Sacred Prayers and charge with Buddhakhun Power, which results in 'Kraap Kru' mildew formation on the surface of the Muan Sarn clay. 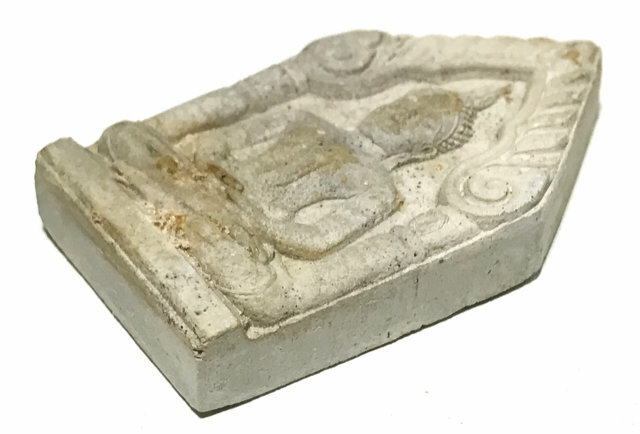 A most classic sacred powder amulet, from the Great Master of Sak Yant, Luang Por Phern Tidtakuno of Wat Bang Pra temple in Nakorn Pathom. The rear face features the Yant Suea Maha Amnaj Tiger of Commanding Power, with the Kata Suea Maha Amnaj inscribed in Khom Agkhara around it. The Pra Yord Khun Pol has many different forms of artistic interpretation, and is one of the Classic Historc Periodic Amulets which has its own 'Benjapakee' five regions set of 'Pra Niyom' preferred amulets, and is famed for its Serm Yos (Increase Status), Maha Amnaj Commanding Power, Kong Grapan Chadtri Invincibility, Klaew Klaad Evasion, and Maha Pokasap - Maha Lap Wealth Increasing powers. The amulets of Luang Por Phern Tidakuno (Wat Bang Pra) are highly renowned for their Kong Grapan Chadtri Klaew Klaad, Maha Lap, Maha Amnaj and Serm Duang Powers. This is of course, one of the reasons why the Great Luang Por Phern, has hundreds of thousands of devotees around the world, if not millions. The Pra Yord Khun Pol has 5 Major Artistic Styles of Reference, forming their own 'Benja Pakee' Family of Five Regional Top Yord Khun Pol preferred Models. 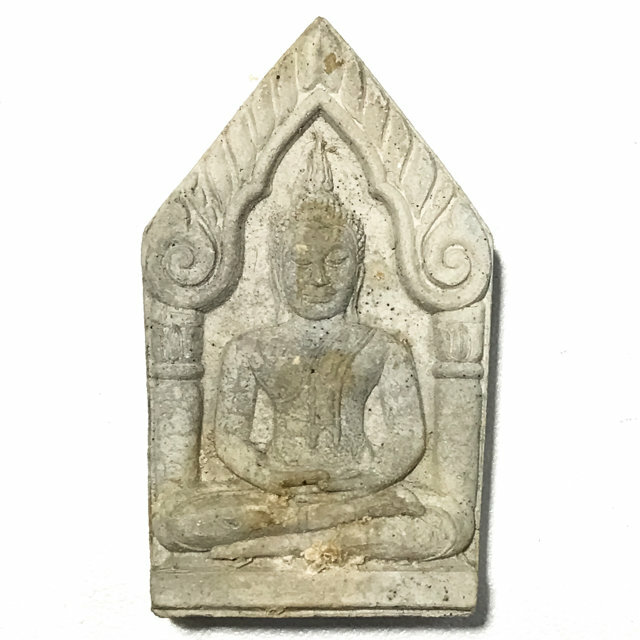 Each of these five Regional Styles also have their proliferations, resulting in a Grand Pantheon of Amulets which are all known as 'Pra Yord Khun Pol'. Pra Ta Gradan from the famous Kru Burial find at Sri Sawad, considered to be an amulet that is over 500 years since its making. 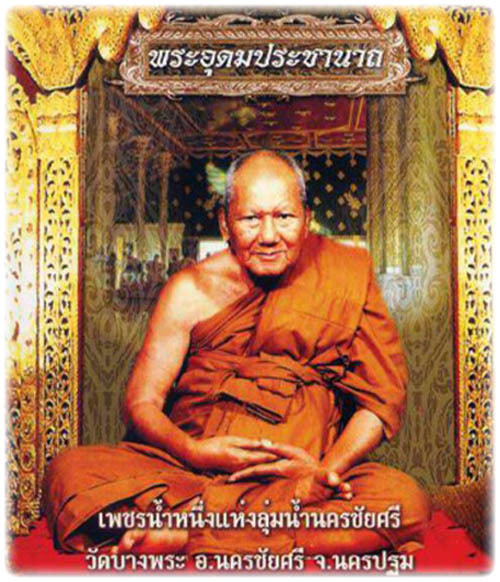 Luang Por Phern (Pra Udom Prachanat), is one of this Century's Greatest Master Gaeji Ajarn Guru Monks, and holds World Famous International Status as well as being a revered Monk of the Thai Royal family. 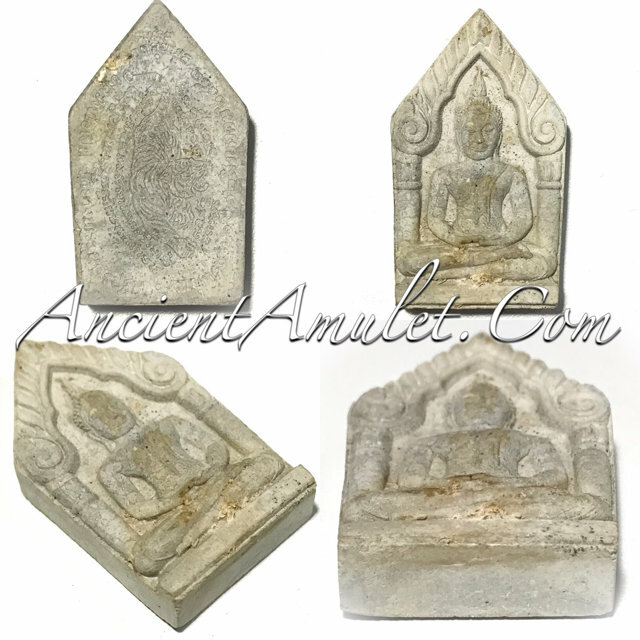 Those who rever the Great Luang Por Phern will be at best served with this purely Buddhist Amulet of Auspicious Blessings, for the faith of the Devotee and the Metta of the Guru Master, is the connection that causes the Miracle Events which are so often attributed to amulets to occur. Attributed Powers; Kong Grapan Chadtri, Maha Pokasap, Metta Mahaniyom, Serm Duang Klaew Klaad, Maha Amnaj. Always say; ‘Namo Dtassa Pakawato Arahato Sammaaa Samputtassa’ first, three times before making any Kata for amulets. Recommended Uses:Kong Grapan Chadtri, Metta Mahaniyom, Klaew Klaad Evasion Magic, Serm Duang.